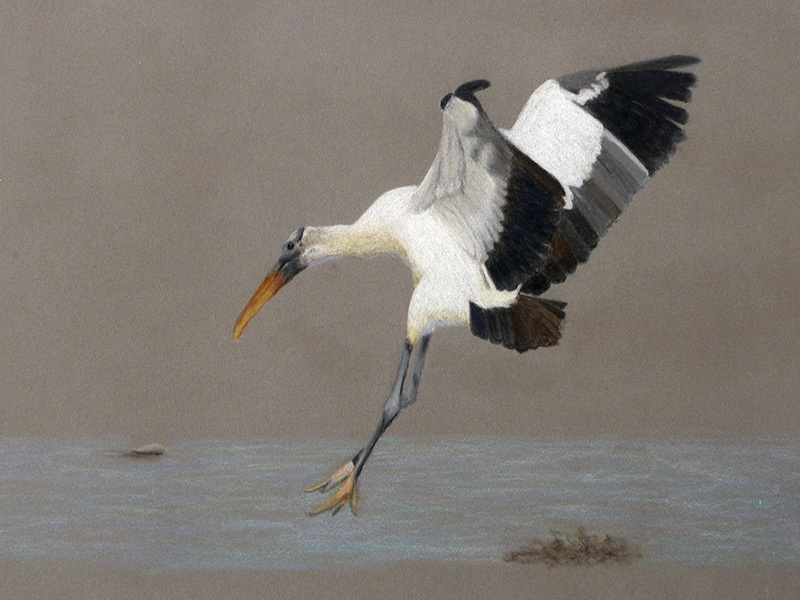 (RALEIGH, N.C.) — The North Carolina Museum of Natural Sciences’ Nature Art Gallery presents “Wildlife Art,” paintings and artwork by Pinehurst resident and lifelong artist Betty Hendrix. The show runs Oct. 5–28, with a Gallery reception Saturday, Oct. 6, 2–4 p.m. All exhibited art is for sale. Hendrix has had her works juried into more than 75 National and International Exhibitions around the country and online. She has had several solo exhibitions and two-artist shows in North Carolina. In 2010 she was awarded signature status in the Colored Pencil Society of America. In 2009 she received an Honorable Mention Award from Artist’s Magazine in their national online competition in the Drawing Category. She is also an invited member of Miniature Painters, Sculptors and Gravers Society of Washington, D.C., and a member of the Pastel Society of North Carolina, as well as the national and local Colored Pencil Society.